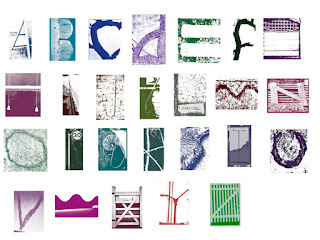 For the month of February I have been taking photos of each letter of the alphabet from the natural world and the built environment and making mailart with them. Yesterday I turned these letters into brushes which I have placed in a google document as a set. You should be able to download and use them. The above is what they look like at about 150 px in an array of colours. Marvelous mail art from Lithuania! Still Christmas at Nayland Farm! Posters from Cheryl and RCBz arrive!